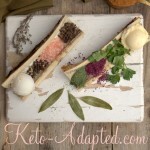 I get asked almost everyday about how Craig is doing with this Lyme Disease from kind people on Keto Adapted that we don’t even know. Your kind words mean so much. 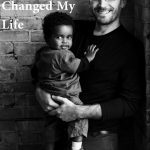 We thought it was appropriate to not only inform you on how he is doing with Lyme Disease, but how we finally got a proper Lyme Disease diagnosis as well as how he is properly healing his Lyme disease. In this YouTube video we discuss what tests Craig’s did to find out he had Lyme disease, what Lyme protocol he is following and update you on the progress he has made. We also cover some of the latest strategies on combating Lyme disease. CLICK HERE for the igenex Lyme test kit. For the Cowden protocol, you can get that HERE. The Klinghardt protocol is for anti-parasidics. I have taken Ivermectin, Albenza alinia and a couple others and now taking mimosa pudica. This needs to be prescribed by a Lyme literate doctor. It is also very important to detox when doing these protocols. I take Chlorella, do epsom salt baths and take zeobind. Also, enama’s can be helpful to detox. Good books to read are How Can I Get Better and Healing Lyme. I will be starting a 3 antibiotics protocol next. It includes three anti-biotics taken together to combat Lyme on several fronts. I am taking Tindamax (a great cyst buster, take 4 days on and 3 days off), minocycline (crossed blood brain barrier) and Zithromax. I am also getting tested for mycotoxins to see if mold is an issue. Mold can mimic many of the symptoms of Lyme. The ketogenic diet helped Craig immensely with Lyme disease and controlling the pain and inflammation, but the keto diet isn’t a cure to Lyme. So if you know anyone suffering from Lyme disease I highly suggest a ketogenic lifestyle to help lower the pain while following the protocol we discuss in the YouTube video. 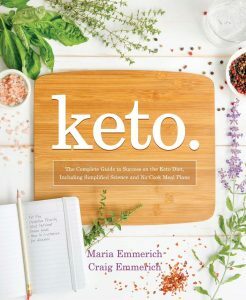 A perfect cookbook for the ketosis lifestyle which includes over 200 recipes, perfected meal plans, grocery lists and so much more: Easy Dairy Free Ketogenic Recipes! Click HERE to find it on sale now! 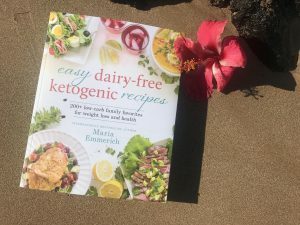 We spent so much time and love in making special egg-free meal plans if needed, night-shade meal plans, vegetarian meal plans as well as much much more so you can be successful on your ketogenic lifestyle! Craig, you’re in my thoughts! What your exercise routine like then? What do you do as a family to prevent repel and/or prevent tick bites? Any recommendations appreciated. Can’t wait to see Craig’s show notes and links for the antibiotics and protocols he mentioned in the video. Thanks for sharing your story. Congratulations on your continued healing. I added the notes and links above the video. Thanks. And for prevention, we just try to thorough check ourselves after every time we go into the woods. You can also wear long pants and tuck them into your sock and spray the sock with deet. That way the deet isn’t on your skin and it will prevent ticks from climbing up. Wow – what a journey you are on. I am so glad you are finding some help. Thanks for taking the time to post the video, I am sure it will be a helpful tool for folks out there struggling with Lyme disease. My daughter has Crohns disease and has always had the motto “I am not my disease”. This came across loud and clear in your video – may you continue to find strength in your journey. It’s not Herx, it’s a Herxheimer reaction. What you need to do is find a Dr. to run IV OZONE, a ’10 pass’. They draw blood under pressure, add Ozone under pressure mix it and re-inject. It gets done 10 times, thus the 10 PASS. Dr. Robert Rowen in Santa Rosa, CA could direct you to a qualified Doctor that is trained in Ozone. Ozone kills Ebola, as well as Lyme. Herx is short for Herxheimer. I’m so sorry you’ve had such a lousy experience. Very serious indeed, and yet treated so casually by most.. I live where the tick population is heavy and it terrifies me. Please share all that you have come to know about prevention. It would be so appreciated. My empathy is with you because I suffered from Lyme Disease as well. I was diagnosed in Croatia 1.5 years ago (where we live part of the year). Thank God it was not in Canada where home is much of the year…nearly everyone must travel to the US to see a Lyme literate doctor. Every single doctor I saw here shrugged it off, even an Infectious Diseases specialist. They even saw pictures I took of the bullseye as well as copies of positive test results! Thank goodness treatment started immediately in Croatia but the journey of extreme pain (was diagnosed with herniated discs and fibromyalgia ten years ago as well so I cannot work, am in my 40s, travel is nearly impossible but I choose to…and really pay for it…because my health is much, much better in Croatia) and fatigue was/is a long one. Now when unusual symptoms occur I automatically wonder if there is a correlation. It’s a brutal and debilitating disease and for people to brush it of or give no credence to it is very tough. There are also those who believe it’s completely made up, a “celebrity” disease. Such a shame. It is crucial for people to take it seriously. I have such compassion for families who must deal with this because it is, as you understand, destructive. Those who do not live with it have no idea how horrible it can be. That is sad. I hope you are finding relief. It is brutal. Our mom’s first Lyme’s test was negative as well, but when I kept pushing her and her Dr., her blood was sent to Igenex, I requested to see the Western Blot and that was so clear that she was Lyme’s positive. Now, we know she will NOT do Keto but it is what it is. I’m glad you are willing to deal w/ the Herx reactions. Do you know of any Lyme’s specialists in the Southern MN area? She gets mad at me when I question HER doctor. It is tough. I don’t know any doctors in the southern MN area, sorry. My husband was suffering with this for over 30 years. He found diet extremely important. He has been gluten free and sugar free for years. Recently we both have been keto. Finally diagnosed three years ago when his health really started to fail him but we are from Canada where is next to impossible to get treated. Treatment from a Lyme literate MD in NY for 2.5 years has brought him back 75 percent. Next month he is attending a DNRS to help use neuroplasticity to heal his brain. Recommended by the Llyme doctor we hope this program will get his old life back. Good luck to you and your husband. 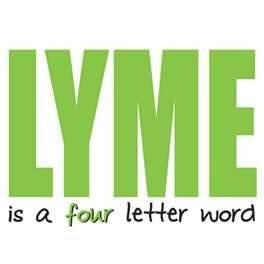 Lyme is so tough. I am reading a fascinating book that speaks to a Lyme patient’s 4 year journey with Lyme and all of the different treatments she has sought out all around the world. I don’t know if you or Craig has read it, but it describes a lot of what you and Craig have wrote about. I think it would be a worthwhile read. She is very passionate about getting the word out about Lyme and providing affordable healthcare and and effective treatments to all who suffer with it. My brother was one of the first diagnosed cases of Lyme’s in MN back in the 6th/7th grade. Back then they had no idea what they were dealing with and they misdiagnosed him many, many times over the course of a year. In addition to telling him it was all in his head. I know he still has lingering side effects from this disease. Anyway, the book is called “Believe Me” by Yolanda Hadid. I wish Craig much success and progress with his treatment protocols. He is lucky to have an ardent supporter and advocate in you! 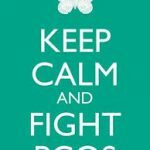 Hi, A friend sent me this link since I have Lyme disease. I believe every person with Lyme should own an ozone machine, and if they can’t afford it then friends and family should help them purchase it. Buying an ozone machine and giving myself home treatments a few times a week have giving me my life back. I went from walking with a cane to going to the gym 3 times a week (which was very difficult before). I suggest anyone with Lyme disease get on an ozone regimen so you will not have to keep taking antibiotics. I bought a Longevity Resources machine which my Lyme doctor prescribed, but it can be very costly and I see there are less expensive machines out there. You can treat yourself either in the ears, rectally, vaginally, and with olive oil you can do respiratory treatments. I only pass this information on because I am a living example that there is hope. I can do better, so I definitely want to try the Keto diet; thank you.